High-stakes poker pro Sammy Farha was able to hold off two players looking for their second World Series of Poker win in 2010, James Dempsey and Michael Chow, to capture his third career WSOP bracelet. Farha took down the $10,000 buy-in Omaha 8 or better World Championship, and pocketed an impressive $488,241 in the process. Amazingly it was only Farha’s 7th cash at the WSOP, although the high-stakes cash gamer plays a very selective tournament schedule. 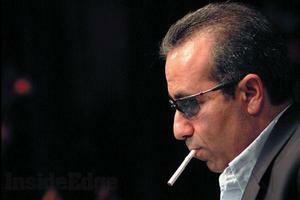 Sammy Farha is one of the coolest professional poker players, and it’s that cultured laid-back attitude, along with his runner-up finish in the spectacular 2003 World Series of Poker Main Event, that has made the Lebanese poker pro a fan favorite. This entry was posted on Tuesday, June 15th, 2010 at 5:13 pm and is filed under Poker News. You can follow any responses to this entry through the RSS 2.0 feed. You can leave a response, or trackback from your own site.